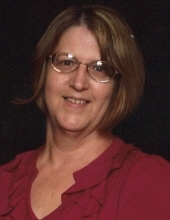 Judy Ann (Washburn) Smith, 63, wife of John Rawlin Smith of Craigsville, passed away Thursday, March 28, 2019 at her daughter’s home in Swoope. Mrs. Smith was born September 4, 1955 in Staunton, a daughter of the late William Clarence and Genevieve (Mullenix) Washburn. Judy was employed as a hairdresser for fifteen years and enjoyed talking and visiting with her clients. Her greatest joy was her grandchildren, whom she loved with all her heart. Judy had an amazing faith in God, a positive outlook on life, and always had a smile for everyone. In addition to her parents, Mrs. Smith was preceded in death by a daughter, Elizabeth Mae “Beth” (Smith) Martin. Surviving in addition to her husband, is a son, John Smith and his wife Tricia of Craigsville; a daughter, Becky Hunter and her husband Jeremy of Swoope; six grandchildren, Hayley Brust, Caid Hunter, Maddie Smith, Jake Smith, Cheyenne Brust, and Willow Hunter; brothers, Larry Washburn of Covington and William D. Washburn of Delaware; a sister, Joyce Overton of Craigsville; a number of nieces and nephews; and special friends, Karen Hinkle and Sherry Sprouse. The family will receive friends from 4:00 p.m. to 6:00 p.m. Sunday, March 31, 2019 in the Coffman Funeral Home and Crematory. A Celebration of life will be conducted 1:00 p.m. Monday, April 1, 2019 in the Coffman Funeral Home Chapel by Pastor George Etling and Pastor Garold W. Senger, Jr..
Burial will follow at Augusta Memorial Park in Waynesboro. Active pallbearers will be G.W. Smith, R.J. Melton, Van Brust, Jr., Robbie Simmons, Basil Karr, Brad Ingram, and Cody Minter. Honorary pallbearers will be John Coffman, Johnny Coffman, and Wheatie Henkel. It is suggested those desiring make memorial contributions to Augusta Health Foundation Hospice of the Shenandoah, Post Office Box 1000, Fishersville, Virginia 22939. To send flowers or a remembrance gift to the family of Judy Ann Smith, please visit our Tribute Store. "Email Address" would like to share the life celebration of Judy Ann Smith. Click on the "link" to go to share a favorite memory or leave a condolence message for the family.